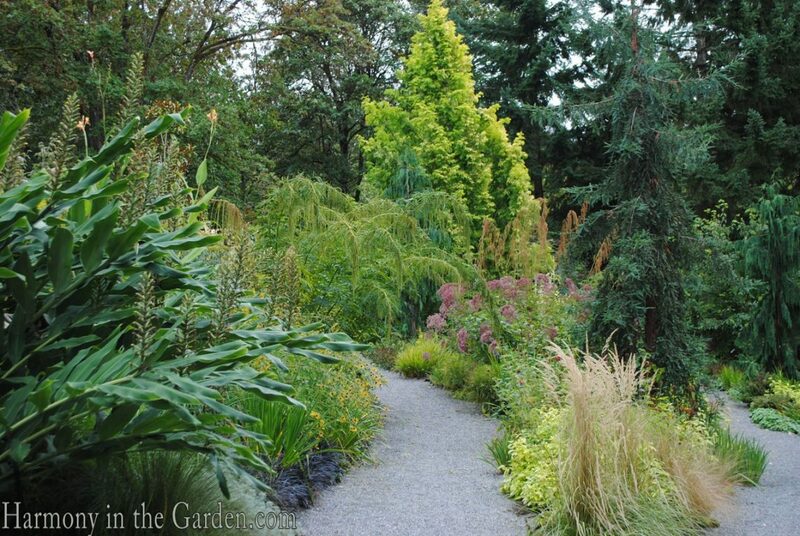 As we ease into fall here in Northern California, I thought I’d share with you one of the most beautiful late-season perennial borders that I’ve seen in a long time, located at the Bellevue Botanical Garden. 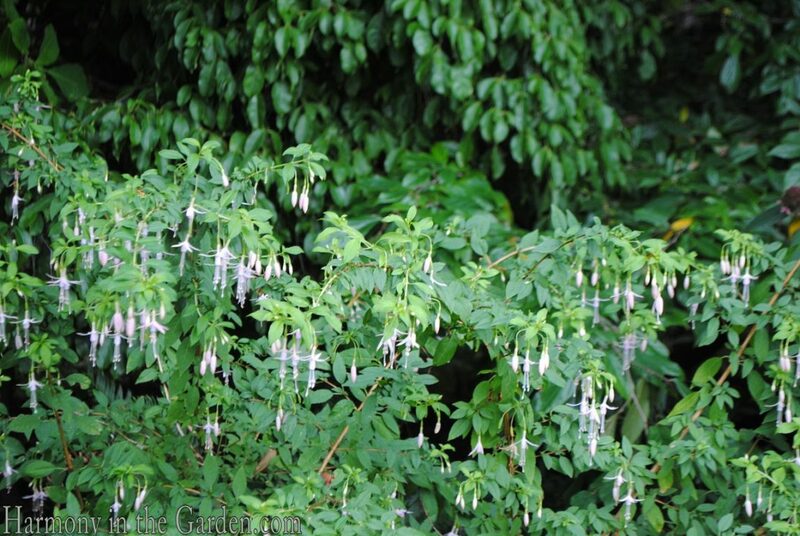 Tucked away on the east side of Washington’s Puget Sound, this 36-acre horticultural gem is one that I will always regret not spending more time exploring. 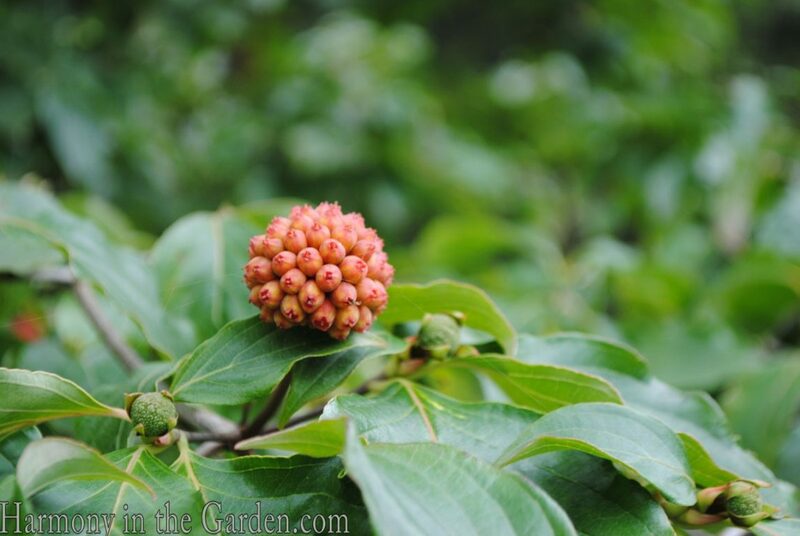 By the time I arrived, I was only able to spend about an hour wandering through the garden, before I had to go inside to give a presentation to the Northwest Perennial Alliance (NPA). 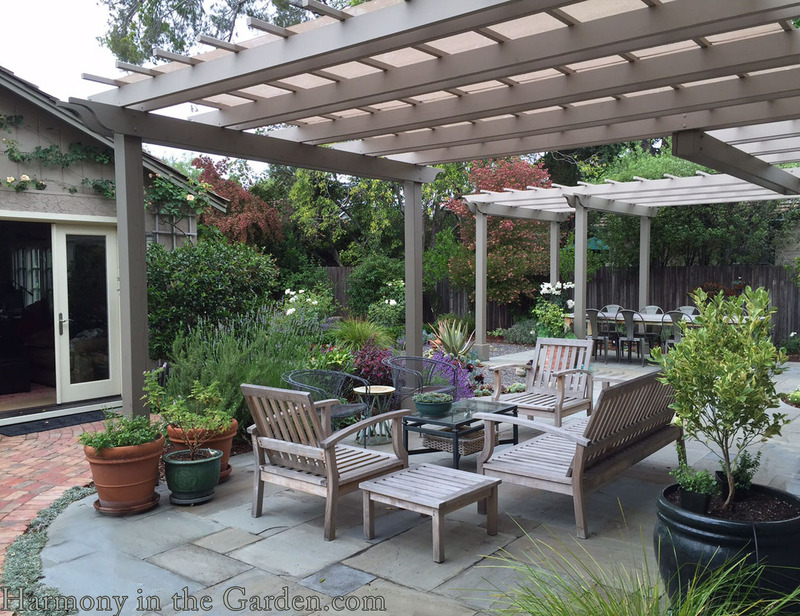 Pulling myself away from this garden was really, really difficult. 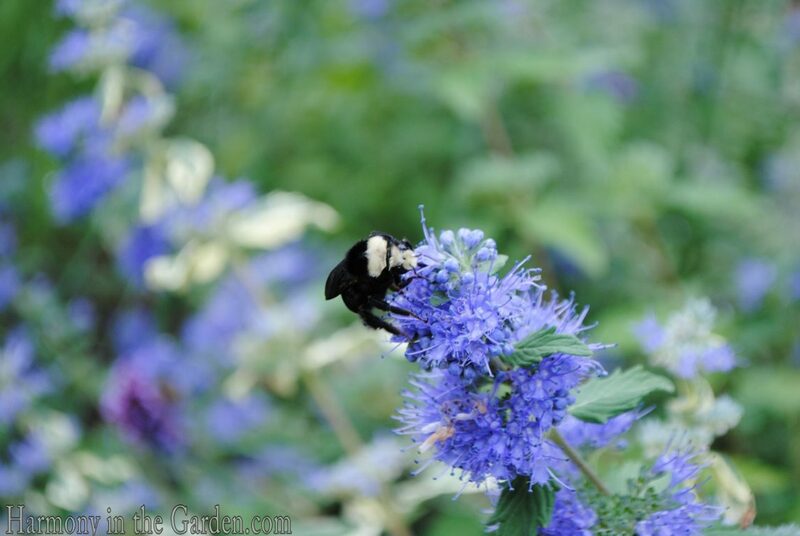 But with the clock loudly ticking inside my head, I decided to focus what little time I had on their new Perennial Border. 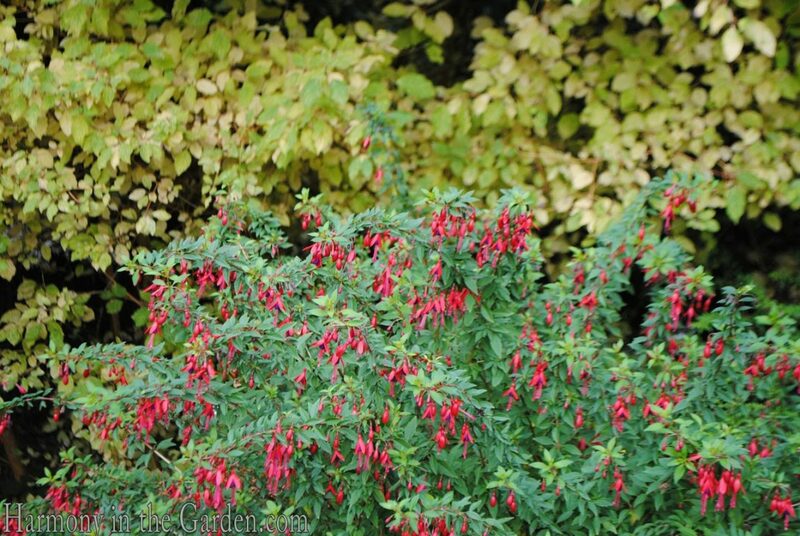 The original designers Glenn Withey and Charles Price, designed the border in 1991, but as often happens over time, the garden needed refreshing. 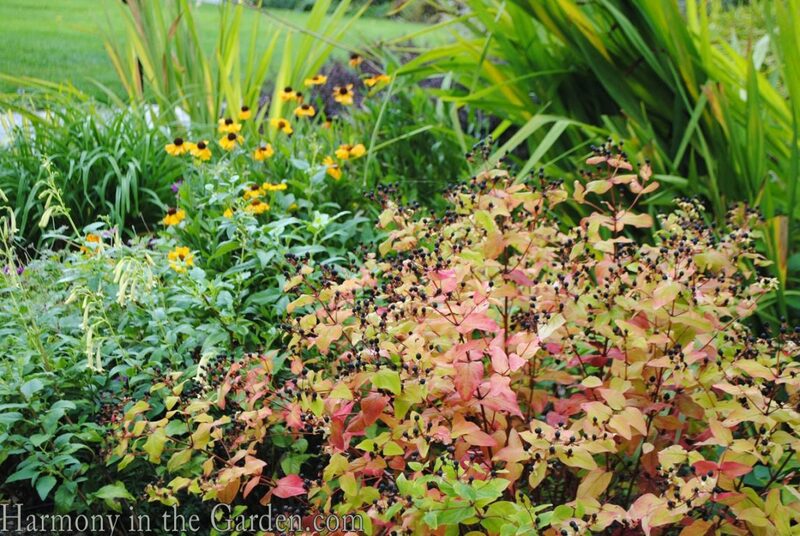 In 2008, the NPA, with its community of dedicated (and talented) volunteers, worked alongside the designers to give this border a complete overhaul. 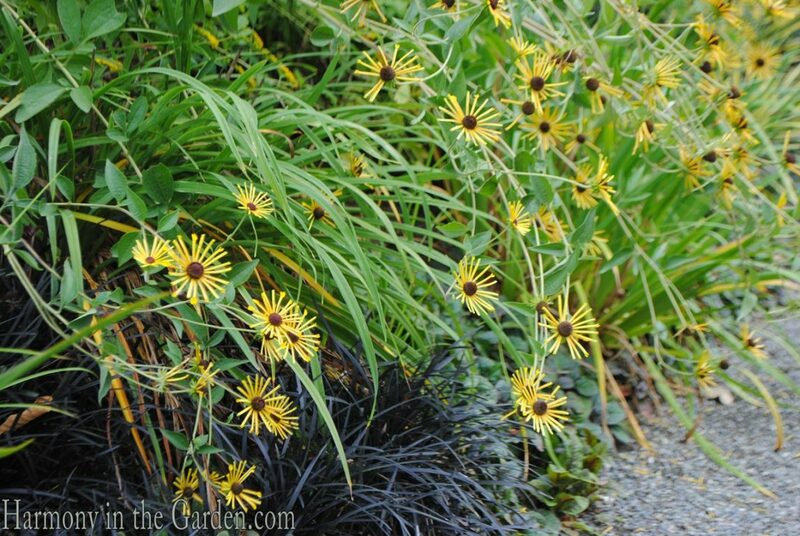 I’m always a sucker for rudbeckias, and this variety has quickly climbed to the top of my wish list. R. subtomentosa ‘Henry Eilers’ has zillions of 2-inch flowers with thin, delicate petals at the tip of towering 4-foot stems. This monochromatic pairing took my breath away. 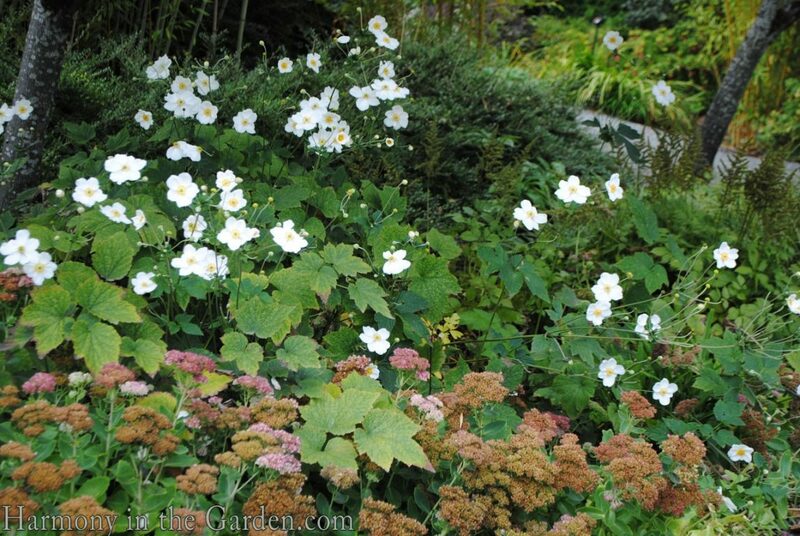 Creating a one-color border is difficult to do, as it can quickly become messy and jumbled looking. 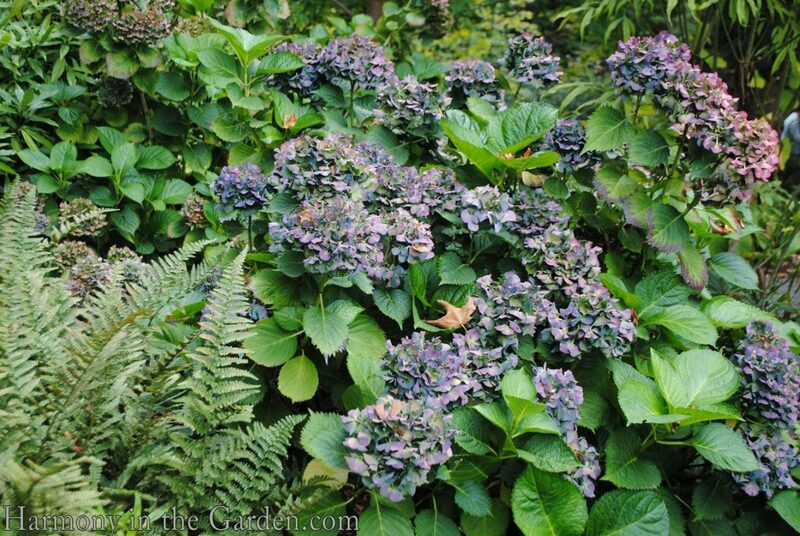 One of the solutions is to focus on each plant’s shape and form to make sure there’s enough contrast within the combination. 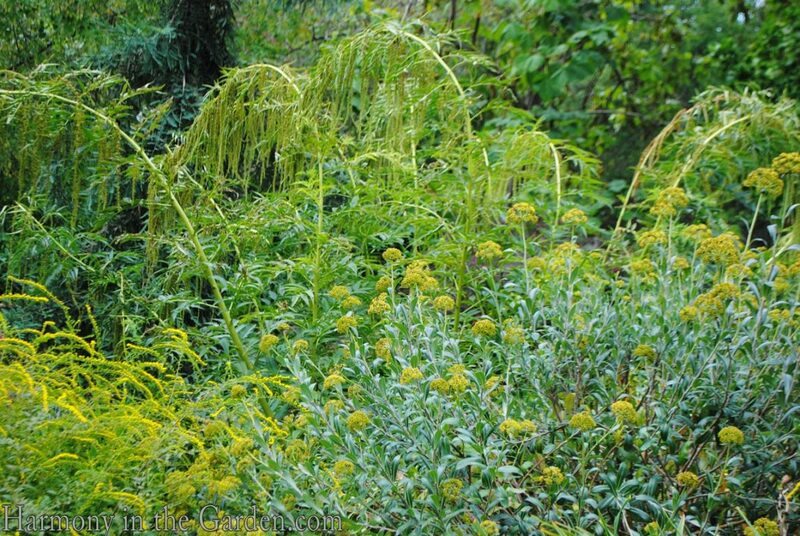 In this instance, the tall and wispy False Hemp in the back of the border (datisca cannabina) commands the eye to stop and take notice, while the waving thread-like flowers of the solidago and the puff-ball flowers of the shrubby hare’s ear (bupleurum fruicosum) add much-needed visual contrast. Here you can see the impressive False Hemp planted in other areas of the border. I particularly like the way it forms an archway over the pathway. 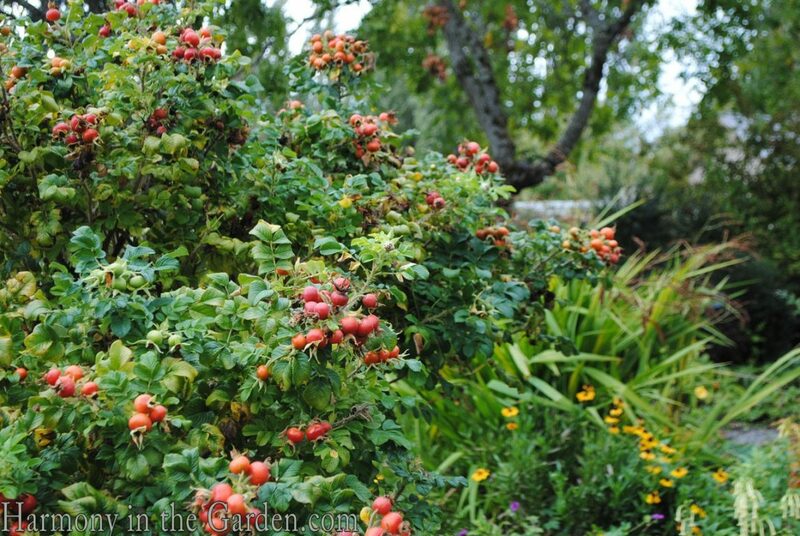 Even though it can tower to heights of 8-feet, its base remains fairly compact at 2-feet wide. These dimensions, combined with the airiness of the stems, make it easier than you’d think to tuck within a border and you can be sure I’m on the hunt to find one for my own garden. 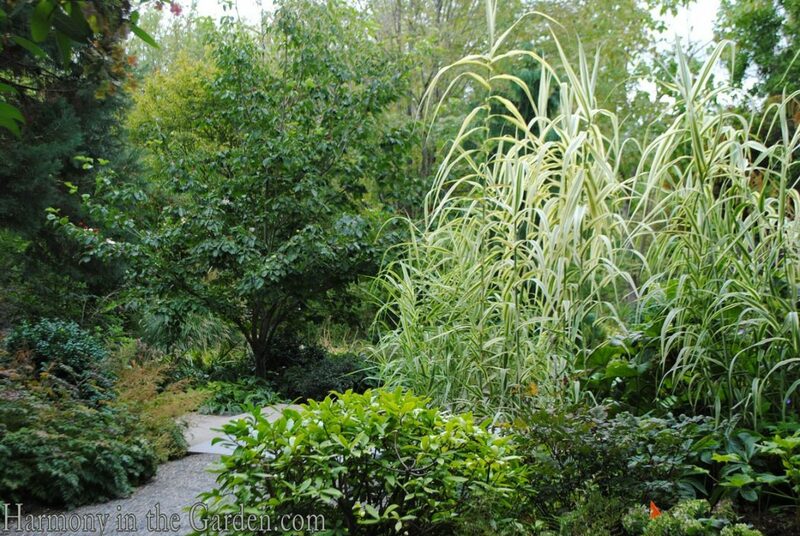 Another stately, in-your-face beauty, is the Variegated Giant Reed Grass (arundo donax var. versicolor). 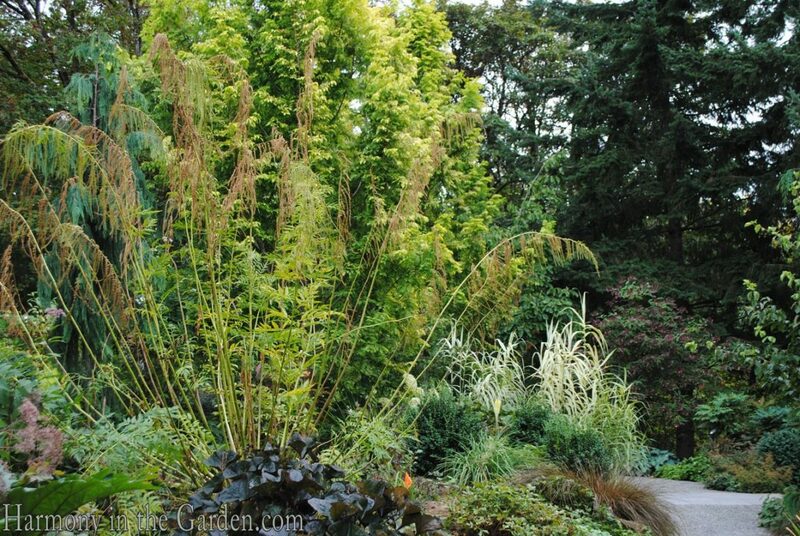 However, this plant’s base becomes woodier and thicker than that of the False Hemp, so a larger space would definitely be needed to house such a show-stopper. 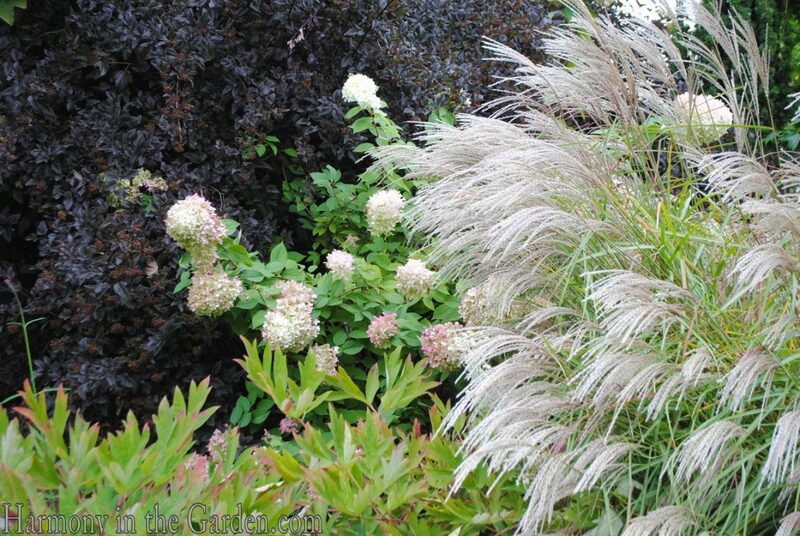 A brilliant combination, placing the creamy shades of the hydrangea and miscanthus flowers in front of the sultry purple background. 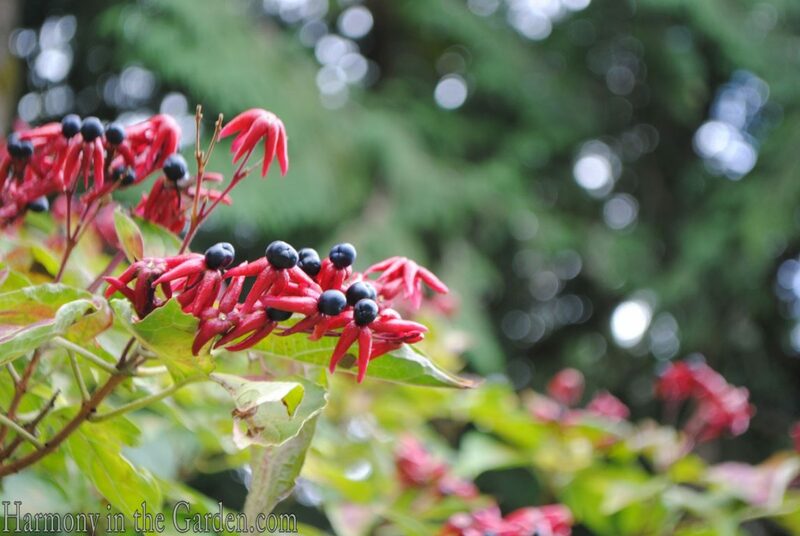 The burnished shades of an epimedium’s fall foliage usher in the changing seasons, as do the various rose hips, fruits of the dogwood and Harlequin Glorybower (clerodendrum trichotomum) and a hydrangea’s changing colors. Now can you see why I’m filled with regret for only having an hour to spend at this garden? With so much more to see, I’ll definitely come back again next time I’m in Washington. Dear Rebecca thank you so much for the great photos. We first went back in 1995. 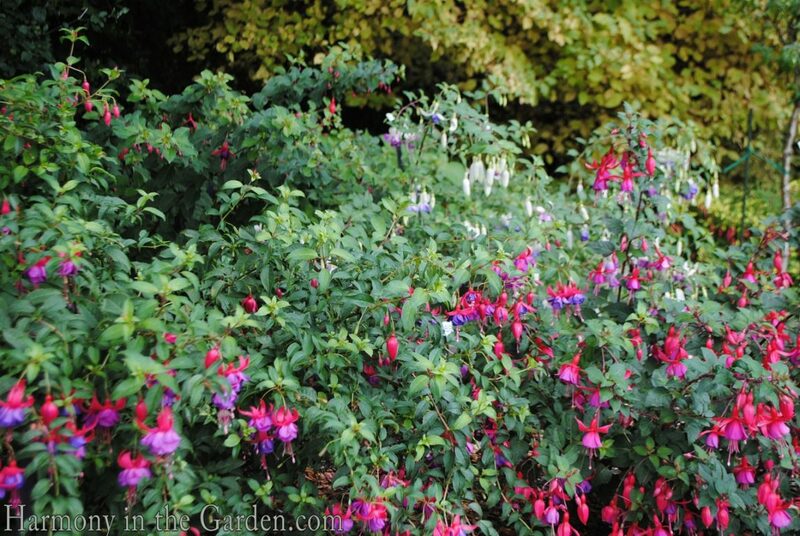 We were in awe of the beauty of the NPA border and drew much design inspiration from their garden even back then. We took videos and still watch them from time to time. It’s a great garden, such a treasure for us PNWers! I hope you can find the time on a future visit to see the rest. That NPA border is rather spectacular. 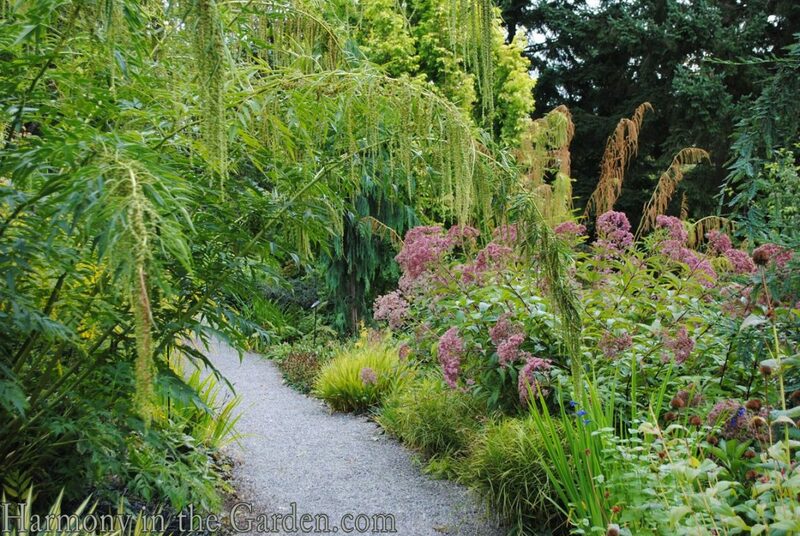 I visited this garden in July of 2012 and was so impressed ! Our time restraint was ferry related –we needed to get to the ferry to Bainbridge and our visit was cut short. I hope to return and see the whole thing oneday.It was really first rate..
Ahhh, I see you’re filled with the same time-related regret that I am, KS! Wasn’t this garden absolutely stunning? I hope you get to see it again one day, too, as I have no doubt there’s so much more to see. Yay, when you get here I’ll join you Rebecca! If i don’t go visit on my own sooner, looks amazing. Thanks for sharing. Hi Gigi – if you haven’t visited this yet, you absolutely must!! Hopefully I’ll be there again soon so we can both visit the garden together.